Transitioning to agile often becomes an obstacle when teams have made the switch while management does not. Steve Denning, award-winning author and 2014 ALM forum keynote speaker, says one of the problems is most management is focused on making money rather than delivering value to customers. 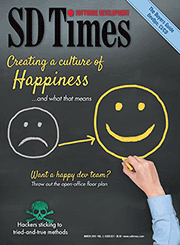 SD Times had a chance to talk to Denning on transitioning management to agile. SD Times: What is agile management? 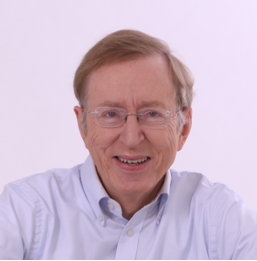 Steve Denning: It involves focusing on delivering value to customers rather than the goal of making money. Although it in fact does make a lot of money, that’s the result, not the goal. The goal is based on self-organizing teams, rather than having individuals report to management. It is workers coordinated in these agile practices, in their various versions of Scrum, Kanban, lean and whatnot, but they basically set aside coordinating work by reports and plans and instead work in very short cycles, deliver value at the end of each cycle, and get feedback at the end of each cycle. Those practices put together as a coherent self-reinforcing package have a hard time in an organization that is run on the old practices, and that’s the drama being played out in many organizations. Why is it important for management to be agile? The management will say our objective is to meet out quarterly numbers, and so everything focuses on how can we meet our quarterly numbers, how can we make money. The whole focus of the work starts to be pulled away from delivering value from customers and making a quick return. What the company starts doing is totally counter to the philosophy of agile, which is about delivering value to customers. So you have conflicts really at every turn because the management is looking at one set of values and measuring things with one set of measures, allocating resources and rewarding and punishing people based on those metrics. Then you have the agile people working on a totally different set of goals and metrics. You can try to set up buffers between the two worlds, but the track record of coexistence is not a happy one.